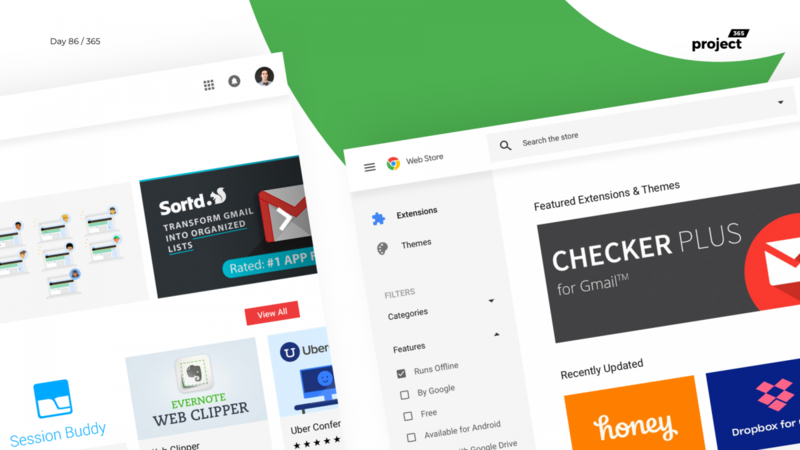 Brief: To redesign Google Chrome’s Web Store listing page with Google’s Material Design language. 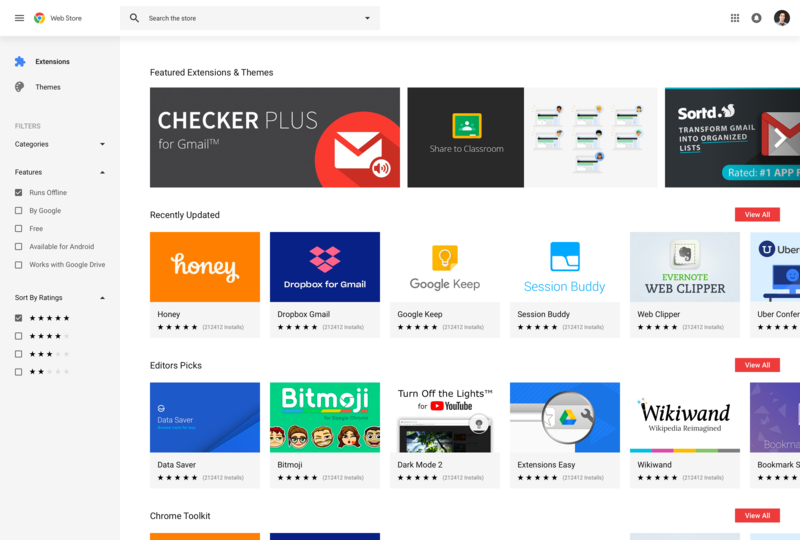 Today’s take is on Chrome Web Store for Extensions & Themes. I felt that the current site is very outdated and with Google’s material standards, it deserved a change. So I gave it a go with the material design guidelines, icons, and colors. Nothing big in terms of uniqueness and I feel that’s the point, to make it easy and familiar to any user.